Grand Cayman (Wednesday, 28 November 2018) The Cayman Islands Monetary Authority (“CIMA” or “the Authority”) held its second annual 5K & 10K Charity Walk/Run in May earlier this year, and the Authority is proud to note that this year’s proceeds surpassed the amount raised last year. This time around, the event raised a total of CI$18,150. The funds were donated to the literacy and numeracy programmes within various local government primary schools. The Authority also extends special thanks to its event sponsors: Insurance Managers Association of Cayman (IMAC), Deloitte, DMS, Cayman National, Island Heritage Insurance, Cayman Islands Compliance Association (CICA) and Walkers. Other supporting groups were: Captain Marvin’s, World Gym, Winners Circle, Comfort Suites, Calypso Grill, Rubis, Cayman Turtle Center, Casanova, Kirk Freeport, Luca, along with many other companies that donated raffle prizes. For a list of the race results, visit www.caymanactive.com. 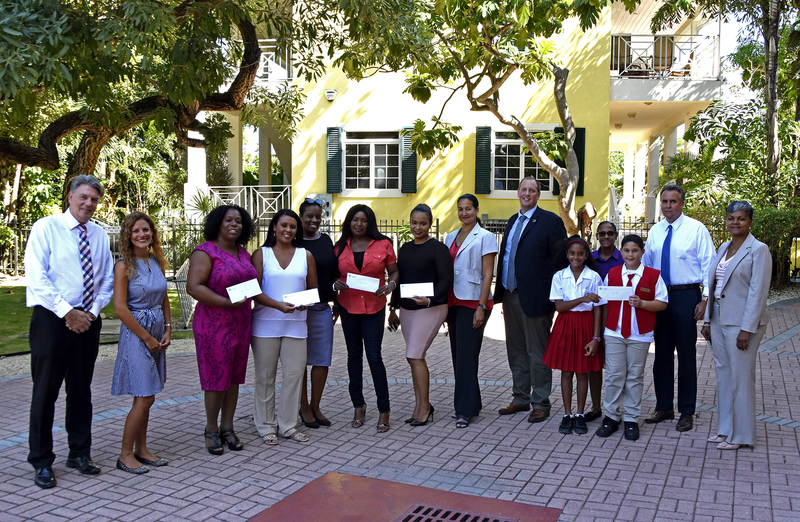 Photo caption: (L to R): Mr. Wayne Roberts and Ms. Andrea Nixon of Cayman Islands Behavioural Support Services, Mrs. Sharon Campbell-Danvers of George Town Primary, Ms. Jessica Eden of Savannah Primary, Ms. Kim Watler and Ms. Loreta McBean of Bodden Town Primary, Ms. Nekita Rodriques of East End Primary, Ms. Carol Saunds of Edna Moyle Primary, Mr. Matthew Read of Prospect Primary, Ms. Meredith Rankine of Red Bay Primary with students Alanna Edwards, Thian Bodden and CIMA’s Deputy Managing Director-Operations, Mr. Patrick Bodden and Deputy Managing Director- Supervision, Mrs. Anna Mclean.